Famous Gyro with French Fries! Your choice of chicken or traditional gyro. 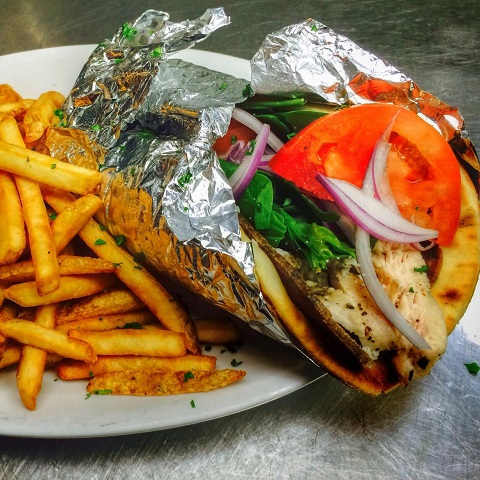 Comes with famous Tzatziki sauce, lettuce, tomatoes and red onions wrapped in pita bread and served with french fries.